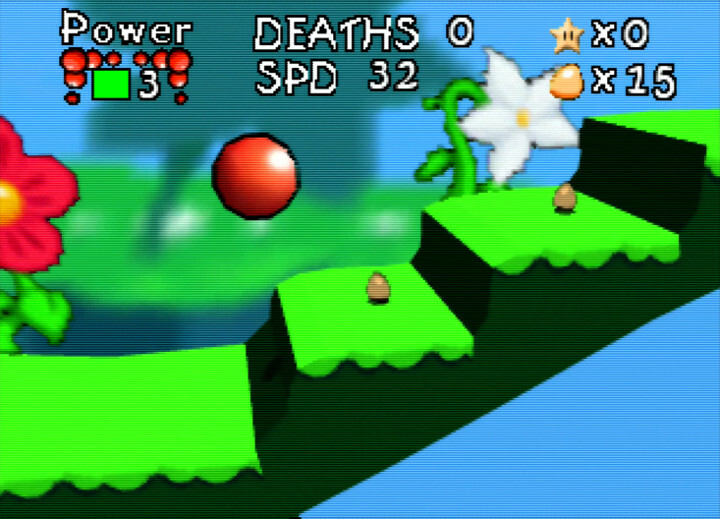 If you don’t remember a game called Bounce Tales 64 then don’t worry – you’re not going mad! That’s because this is a brand new, unofficial N64 game that you can even play on your original N64 console. 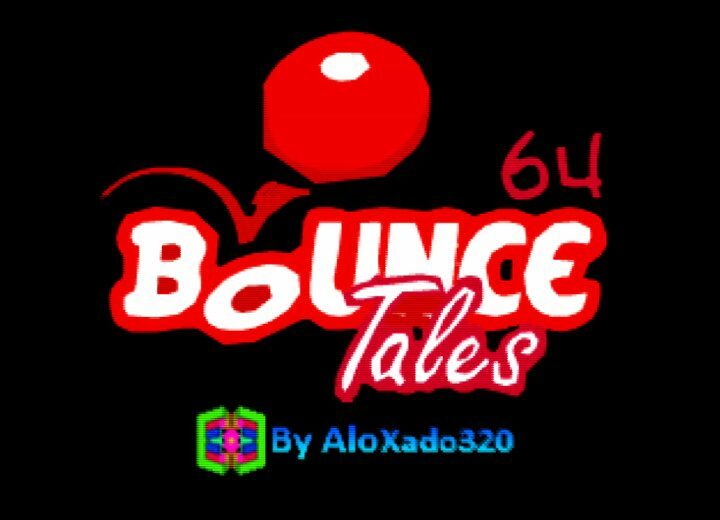 What’s Bounce Tales 64 about? 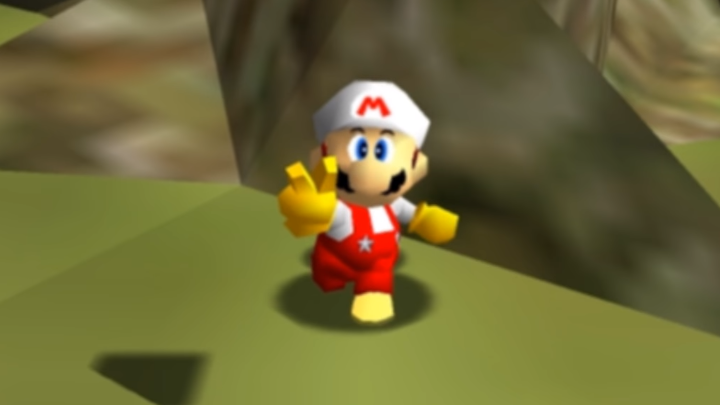 Bounce Tales 64 is Super Mario 64 ROM hack created by AloXado320. It’s a remake of Bounce Tales, a 2008 Java mobile game by Rovio Entertainment and Nokia. AloXado320 made this hack to celebrate the original game’s 10th anniversary. Bounce Tales 64 is primarily a 2D platforming game. Only the hub world and boss fights let you move in three dimensions. 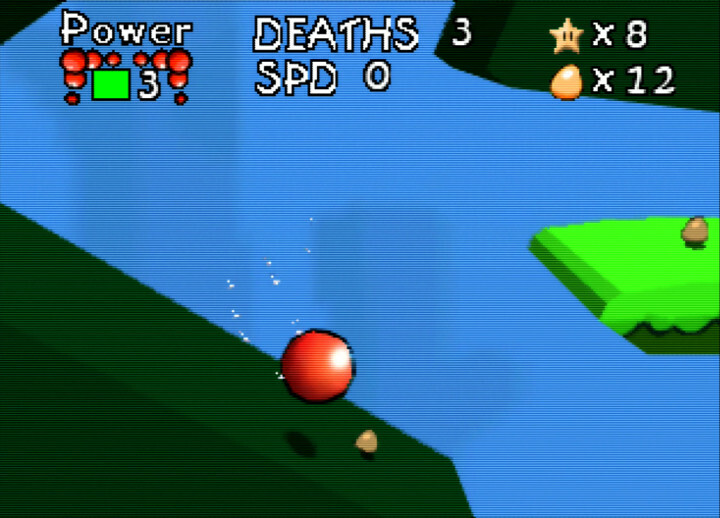 Playing as Bounce the ball, you must travel through 15 levels collecting stars and eggs. 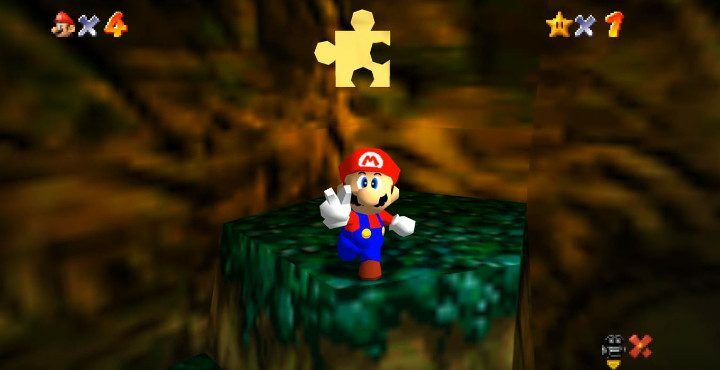 Much like Super Mario 64, you need stars to progress through the game. There are three stars in each of the standard levels. One of these you get just by reaching the end of the level. You obtain the other two by collecting 30 eggs and all the special purple eggs in a single level. This makes Bounce Tales 64 feel like a mini collect-a-thon. But it’s nowhere near as arduous as the likes of Donkey Kong 64 or Banjo-Tooie. The 15 stages are split up across three rooms. 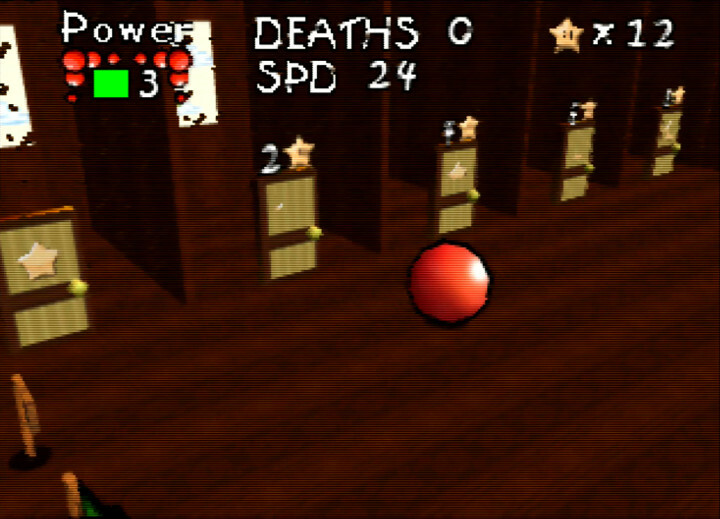 You can only reach the next room by completing a boss fight at the end of one of the levels. 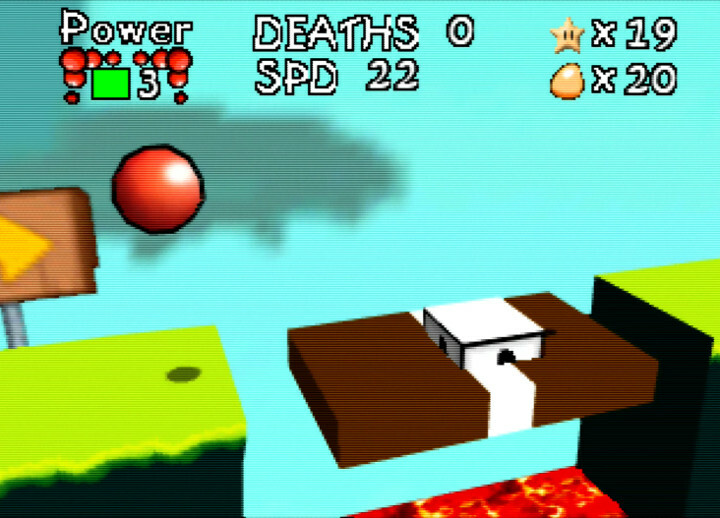 These are basically lifted straight from Super Mario 64, but are reskinned to fit Bounce Tales 64’s setting. The boss fights aren’t the only similarity. 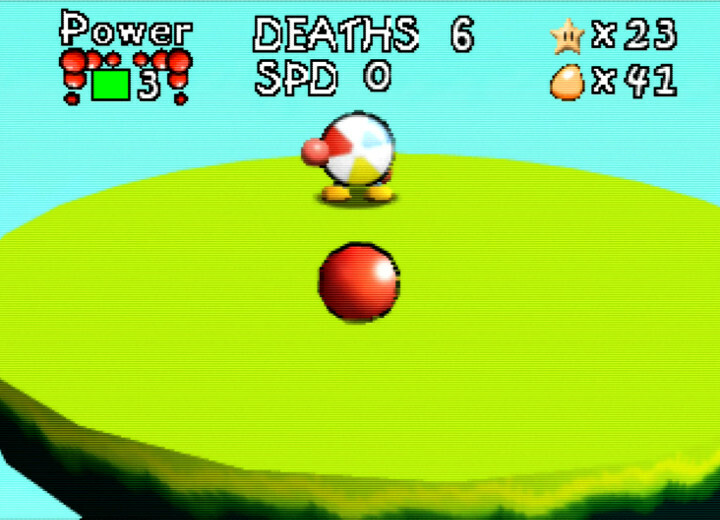 Despite featuring different graphics, Bounce Tales 64 plays almost exactly like Super Mario 64 – but from a fixed 2D perspective. 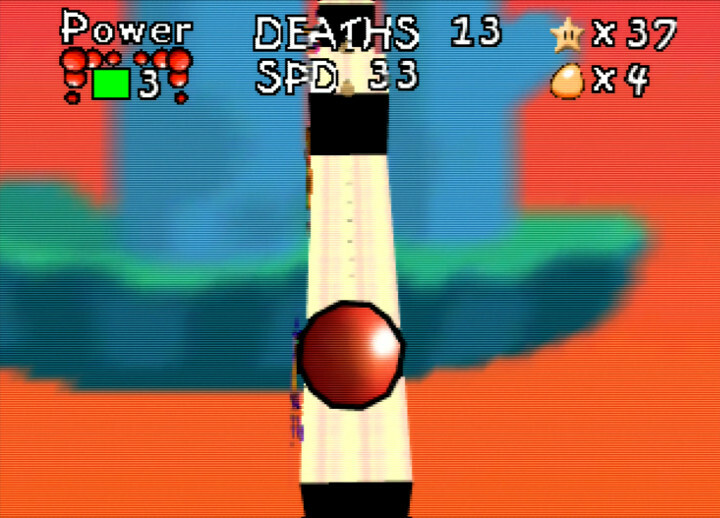 Bounce the ball moves just as Mario does, and can perform backflips and triple jumps. You can even punch and grab enemies. The only difference is that there’s no fall impact damage. 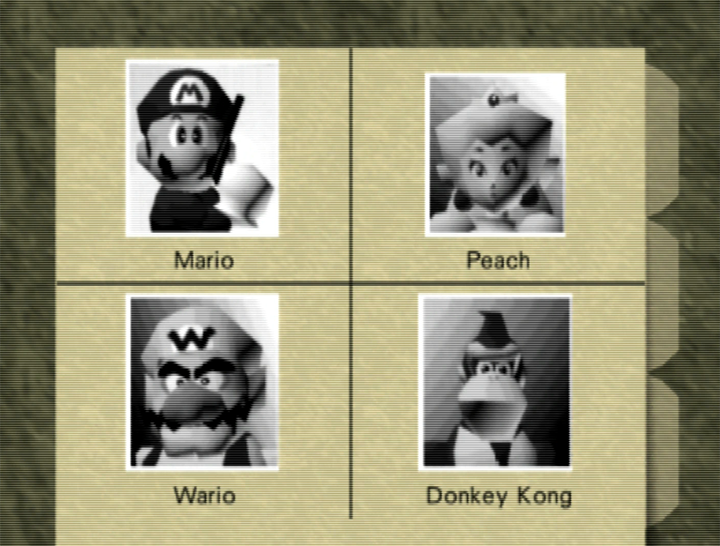 It’s good if you’re already familiar with how Super Mario 64 plays. However, using a 3D game engine for 2D gameplay has some noticeable drawbacks. 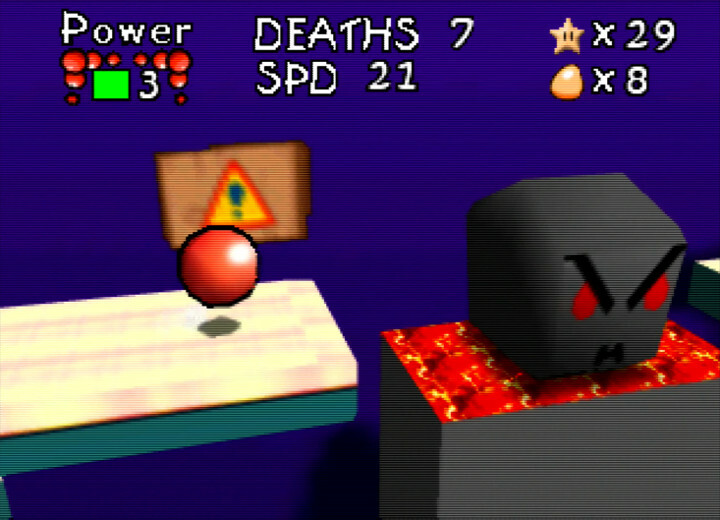 For example, water-based levels use Super Mario 64’s swim controls. As a result, you can’t switch direction instantly, and the inverted Y-axis controls feel unnatural and confusing. The fact that you’re a ball also means it’s hard to tell which way you’re facing. But don’t just take our word for it. Even the game makes a point of notifying you when there’s only one water stage left. Using cannons to launch Bounce to otherwise inaccessible platforms is also problematic. The cannons move in full 3D and aim towards the screen by default. This means you have to find your bearings every time you jump into one. 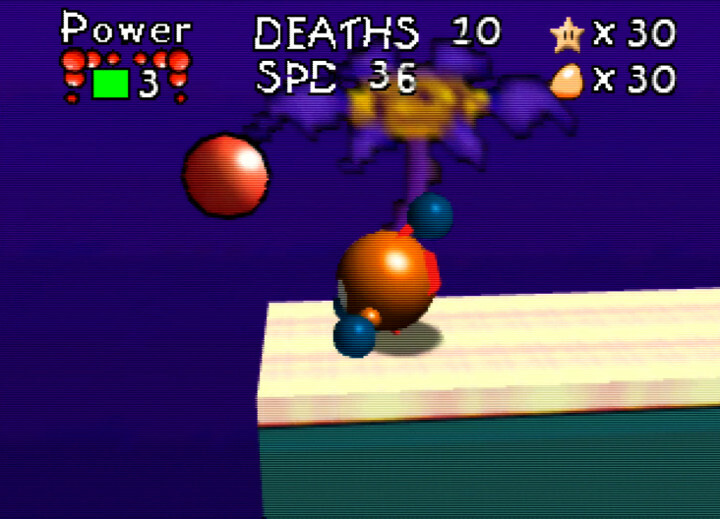 For the most part, Bounce Tales 64’s control setup works. And there are a plenty of in-game messages to advise you when you reach the trickier, fiddlier parts. 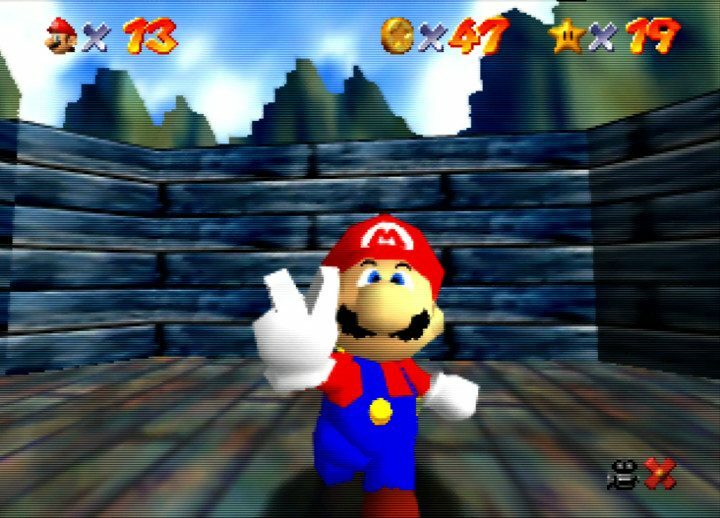 Bounce Tales 64 is AloXado320’s first Super Mario 64 hack. So it’d be unfair to demand perfection. This isn’t a polished experience. You’ll encounter clipping issues. And stars can appear in walls, making it impossible to pick them up. But these are relatively minor gripes in the grand scheme of things. 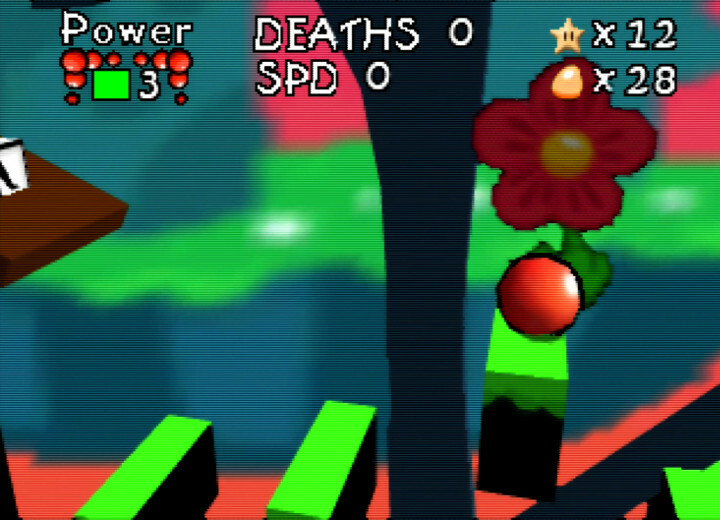 At the same time, Bounce Tales 64 does a lovely job of recreating the look and feel of the source material. 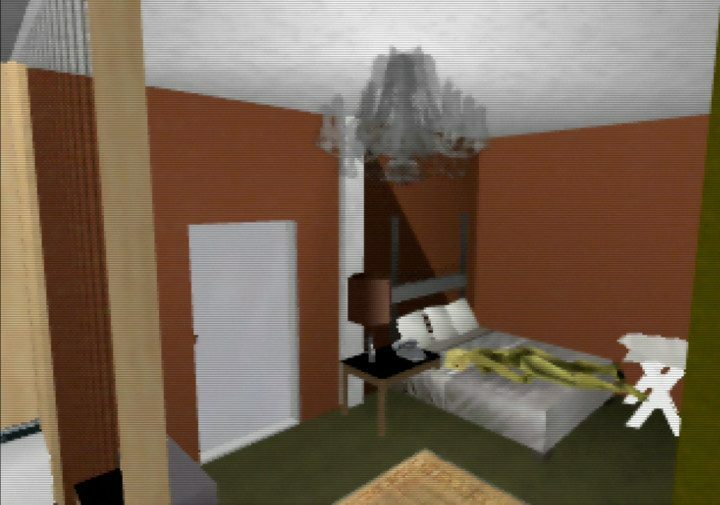 It features imported scenery assets and even music from the original game. Bounce the ball sports what looks like a cell-shaded effect, which is pretty unusual for the N64. It looks great, and makes it seem like you’re actually rolling around. 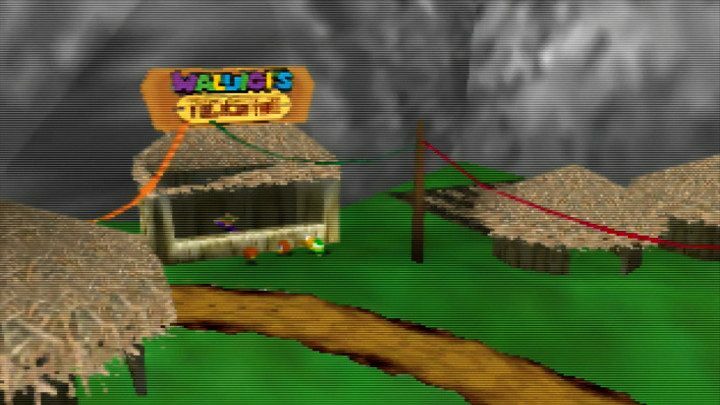 How can I play Bounce Tales 64? You can play Bounce Tales 64 on either an emulator or an N64 console using a flashcart such as an EverDrive 64. You need to have an N64 Expansion Pak to play on console, and thankfully the game runs smoothly on original hardware. We didn’t encounter any slowdown or game-breaking bugs during our playthrough. 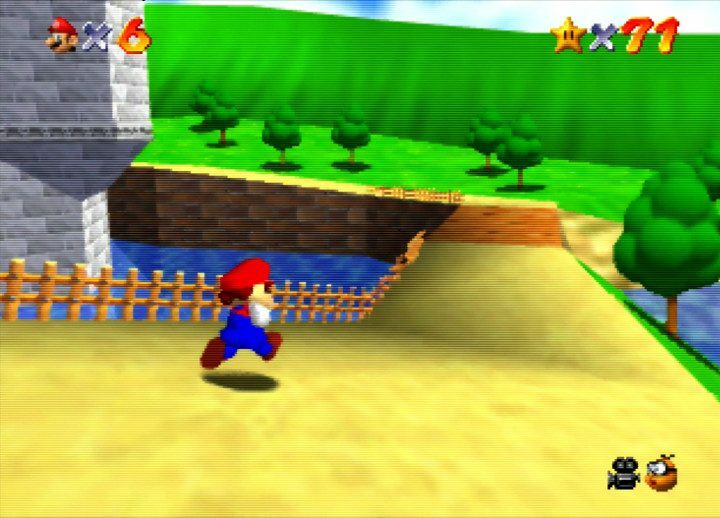 According to AloXado320, Bounce Tales 64 should work on most N64 emulators. You need to remember to set the emulator’s memory to 8MB. It should also works fine with the GlideN64 & Angrylion plugins. You can find a link to download Bounce Tales 64 in the game’s launch trailer description on YouTube. Will you have a ball? Bounce Tales 64 may not be a perfect, but it’s a fun little game with a lot of charm. Collecting all the stars is addictive. And it’s hard not to have just one more go when the levels are short, yet packed with multiple rewards. 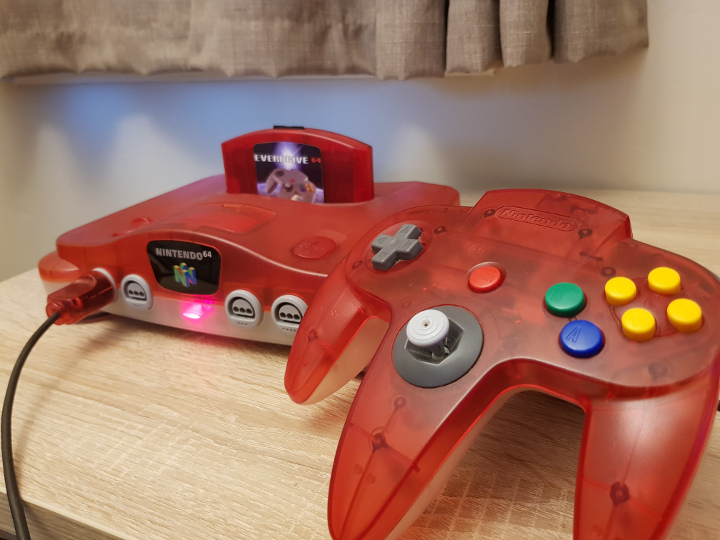 N64 game mods are still such a rarity. So it’s nice to see another enjoyable title added to the limited selection currently on offer.